I also see hundreds, if not thousands, of craft hovering around the planet, ready to come down at a moment's notice to assist everyone, perhaps to take people in their physical bodies off planet, or perhaps even to take their spirit bodies to a safe haven. I know, it sounds far-fetched, but hear me out. My daughter, and her husband had an experience a few days ago - she awoke at 7:30 a.m. to her husband standing in the bedroom asking if she would like the covers on. She never sleeps without the covers on and she was freezing. He pulled them on her then lay down on the bed, then they both saw a blinding golden white light flash on, which lit up the room and then compressed down into a shape like a tornado, then disappeared up into the ceiling. I Remote-viewed this for her and saw a large craft above their house and a visitation by a light being with wings, who was still in my daughter's room when her husband entered, but invisible at that point. I feel that this was in answer to my requests for healing for my daughter, who has multiple autoimmune diseases as I do, but she is much worse. The last time something like this happened to her was 23 years ago when her daughter was born. A 6' tall winged light being appeared at the end of her bed several hours after the child was born. I was present at the birth of my grandchild and she was blue. The umbilical cord had been around her neck. I wonder if the being was there to fix anything that went wrong during the birth as my granddaughter is mentally and physically fine, except for eye issues. Lately, I've had more communication with light beings (Thor, The Seven Sisters of the Pleiades, Medicine Woman, White Cloud, and others, some of whom have no names but appear in long white robes which cover their entire bodies) and this communication has increased over the past couple of years. I've also seen many of the fast-movers (extremely fast-moving craft in the skies which are likely inter-dimensional) on almost a daily basis, and have been in contact with several people who have portals on their properties where beings of different types come and go, and also other things that defy explanation such as tiny galaxies... amazing times we are living in - and yes, I too believe that something enormously big is on the horizon and that is is related to our Sun, perhaps in the form of a huge solar flare that no one living today has experienced. My guides are directing me to get several books about other's experiences as well as my own completed in 2019, so there must be a reason for this. They want all of this information out now, likely to help prepare people for what is coming. I wish I had all the answers, but it seems that we are only allowed to have glimpses of events with no full explanation. The other day I went into deep meditation and asked Valiant Thor why we have to have physical suffering. I've been dealing with pain and illness, and so has my daughter and husband, and I'd been thinking about why the heck do we all have to deal with these issues in addition to all the world problems and everything else that humans have to endure. Thor said in his usual patient manner, "Everyone living on the planet agreed to be here at this time, and knew in advance what they would have to deal with. Each soul needs to have certain experiences either for the growth of their own soul, and some volunteered to be here at this time to assist others, including you. (Thor also meant himself) That is how it always has been, however, we are now at an apex, coming to a culmination of planetary evolution - and that is why there are so many events happening at the same time and why there are so many living souls on the Earth at this particular time. They are here to experience a transition which will raise consciousness exponentially. The time we are in has to do with the Galaxy's location in the universe right now." 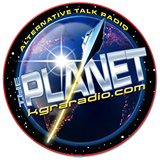 I've had messages about our solar system and our galaxy's location having to do with a new age which began in 2012 for some years, but didn't really comprehend this until I heard something on a science program recently. Apparently, the Earth revolves around the Sun at 66,000 MPH. 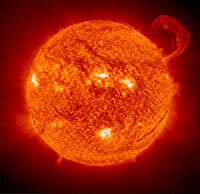 It takes our Sun approximately 225 million years to make the trip around our Galaxy. This is called our "galactic year". Since the Sun and the Earth first formed we have been around the Galaxy 20 times and the speed is 483,000 miles per hour! This is something that most of us don't think about on a daily basis - we're all to busy going about our lives that we don't consider our physical location in our Galaxy. It is too vast for us to comprehend. But think about this for a minute - the position of the Earth and our entire solar system changes by the second, and how does that affect us? The Sun is a living breathing thing - its existence and behavior determine whether we, in physical form, live or die - but what about our light bodies? How does it affect them? I'm referring to our soul, with all 6 of our light bodies connected to it, minus the 7th physical body. And what affects the Sun? It must be our position in the Galaxy, and perhaps even the Universe. 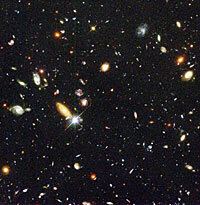 The Hubble Deep Field image shows some of the most distant Galaxues in the Universe. 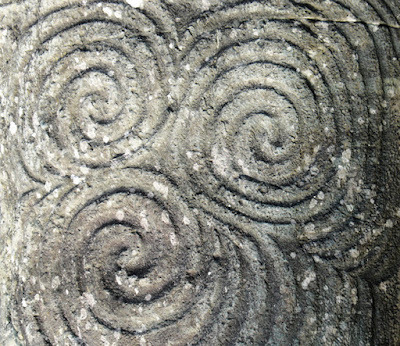 Did the ancients know this and leave spiral paintings and carvings for behind for us to find and pay attention to? 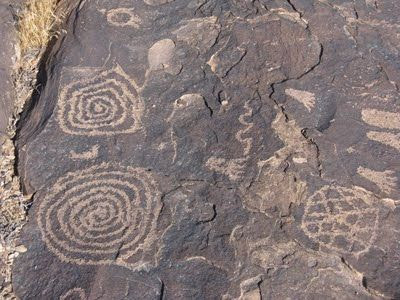 Many people have speculated that such artifacts relate to time or perhaps even portals to other dimensions. What if they are in fact, a representation of our Milky Way Galaxy, and if so, what were they trying to tell us? 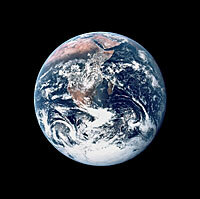 The Earth rotates on an axis and has a slight wobble to it. 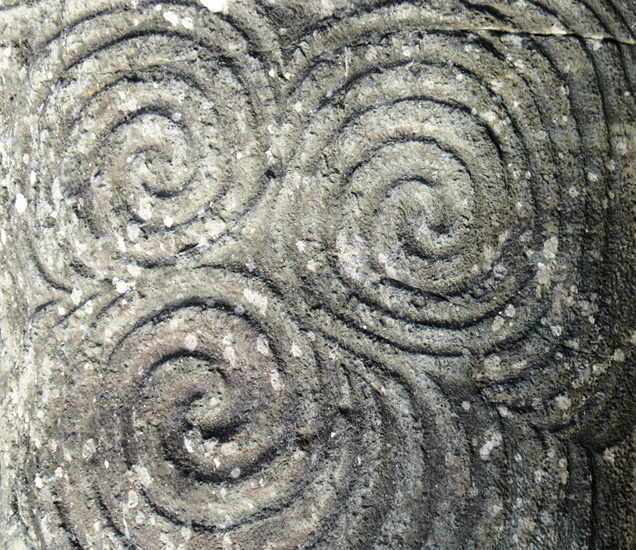 It goes through a small circular wobble about once every 24,000 years. This cycle has been broken into 12 parts associated with the 12 astrological signs, based on which constellation the axis is wobbling towards at the time. From around 2000 B.C. to 0 A.D. we were in the Age of Aries. From 0 A.D. to the present we have been in the Age of Pisces, and from 12-21-2012 or 11/11/2011 (depending on who you ask) we have been in the age of Aquarius. This shift has caused growing pains and it brings out the best and the worst in people. As I've mentioned before, those who operate at a lower vibration go a bit crazy and become angry and violent because they can't deal with the high vibration of the Aquarian Age, or position in our galaxy. But those who are at a higher vibratory rate, while still having a few crazy episodes, are experiencing a greater spiritual awareness. They feel more connected to everything, they are more intuitive, and have begun to realize that they have many more abilities than they previously thought. So the position of our solar system, including Earth, affects everyone whether they are aware of it or not. What to do? My recommendation is to be prepared as much as possible with food, water, and supplies to be self-sufficient for a long time, and to go about your daily life, and spend more time working on raising your level of consciousness so you can deal with major changes no matter if they are physical or spiritual in nature, and no matter if you are in a physical body or a soul body without the physical.